Do Not Miss Out on this Immaculate four bedroom with three and half bathrooms home located in the front section of Berkshire Forest off River Oaks Drive. You enter the home with a view straight to the back of the home filled with windows and doors boasting natural light. 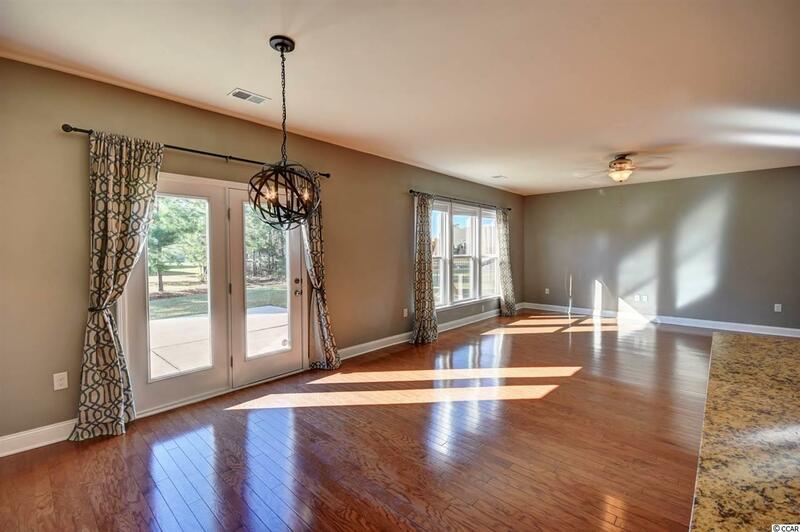 The elegant hardwood flooring located throughout the 1st floor living and dining areas adds to the upscale features found throughout the home like crown molding, wainscoting, granite counter tops, stainless steel appliances, cabinetry, light fixtures, and the list goes on and on. On the main level, there is a flex/bonus room to the right off the foyer area which makes the perfect study, office or formal dining room. If you enter the home through the two car garage you enter the laundry/utility room area, a built-in coat rack with a sitting bench and desk space before entering the kitchen. 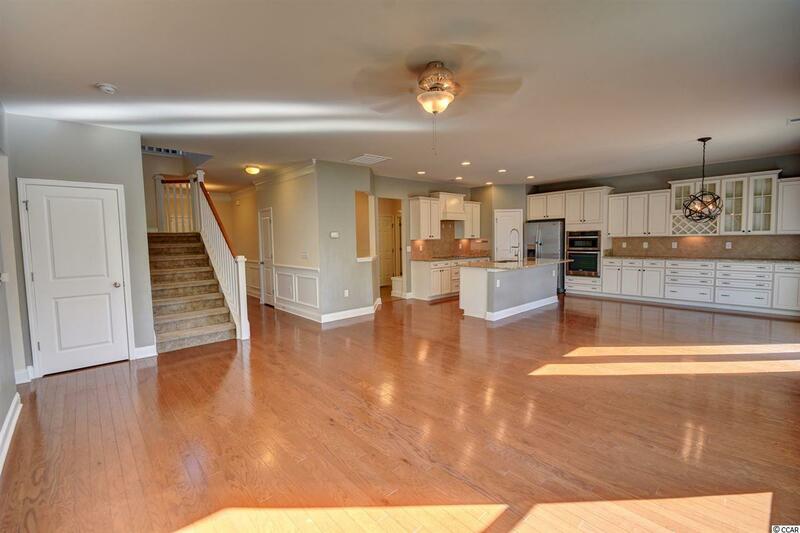 The kitchen has a large island and lots of counter top space and cabinets along with a pantry. The first floor master bedroom has a tray ceiling and a large master bathroom with elevated, double vanities, a stand along tiled shower area, a private water closet area, and a large walk in closet. On the second level you will find a large loft area that makes for the perfect playroom or man cave area. The three, spacious bedrooms upstairs have large closet areas, and there are 2 full bathrooms on the second level. One bathroom has a vanity with a beauty counter cut out and a separate room for the shower/tub combination. The second bathroom has a single vanity with a shower/tub combination that leads to the closet area. There is plenty of room for the entire family to spread out and enjoy their own space throughout this home. 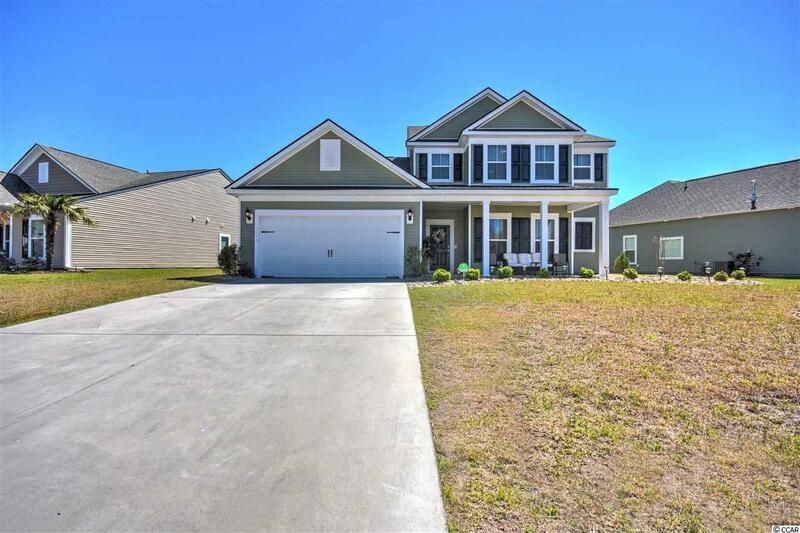 You will enjoy sitting on the front porch and watching the activity throughout the neighborhood or grilling out back on the patio area. 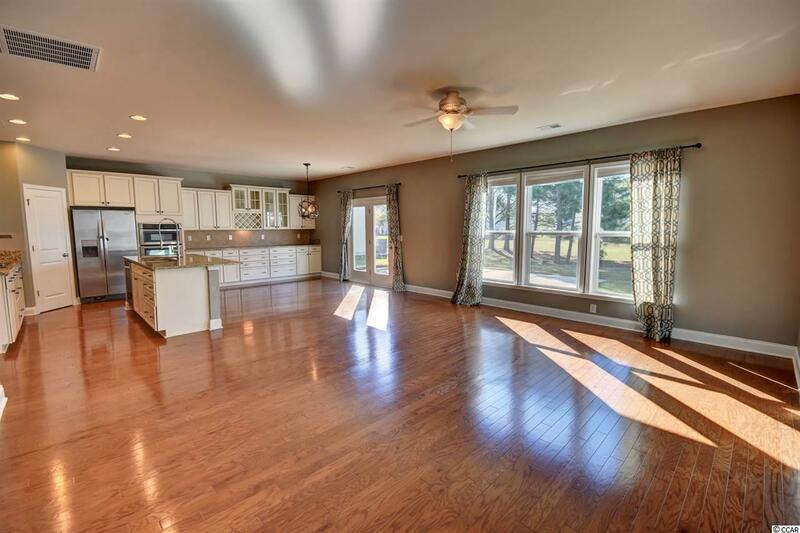 This RARE Furman floorplan comes with a HUGE backyard for entertaining and relaxing! The amenities are endless with a large pool, clubhouse, tennis courts, playground area, and access to the beach. You are located close to all of the major highways and only minutes to the Best Shopping, Dining, Beaches, and Entertainment along the Grand Strand. You will Fall in Love with this Neighborhood and Home, so Make an Appointment for Your Private Showing Today.